Mr. Crosbie, who lived in Southsea, mailed a letter to Mrs. Fowle in Exeter, Devon. 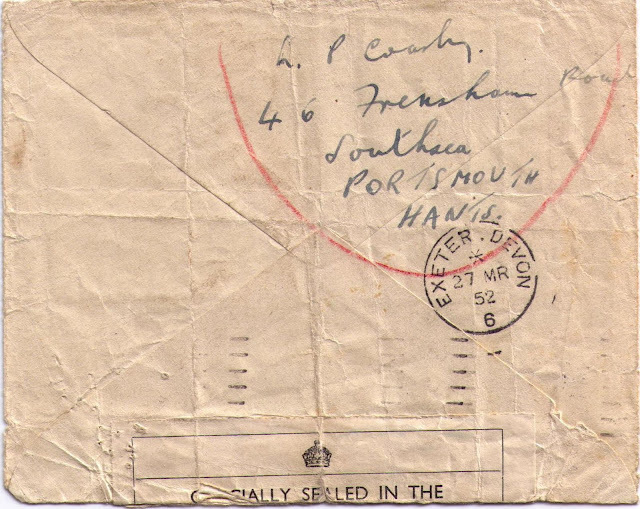 The letter, shown above, postmarked Portsmouth & Southsea March 26, 1952, was not received by Mrs. Fowle. On April 12, 1952, Mr. Crosbie wrote a letter of complaint to the Portsmouth Post Office, wanting to know what had happened to his letter. 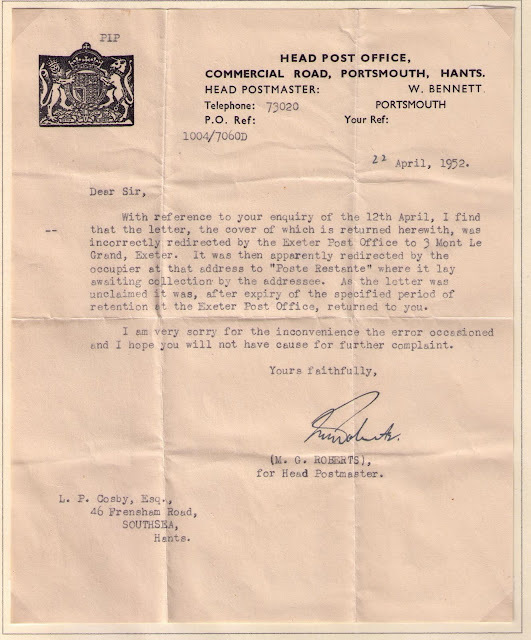 The letter was redirected by the Exeter Post Office to 3 Mont Le Grand, Exeter. No reason for the re-direction is given but it is likely that Mrs. Fowle was no longer a resident at 20 Magdalene Road. The occupier at 3 Mont Le Grand, Exeter, redirected the letter to "Poste Restante", where Mrs. Fowle could have collected it. 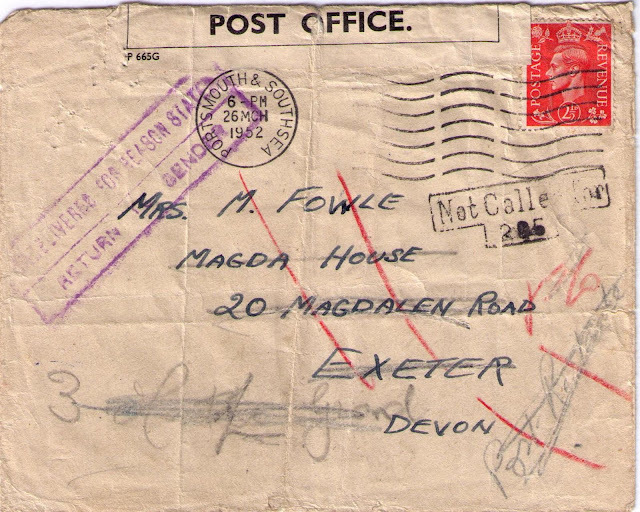 Since Mrs. Fowle did not collect the letter within the retention period, the Exeter Post Office returned the letter.